Doing your bit to help the global fight against climate change does not have to be a life changing, wallet-breaking experience. Instead, experts say, it is about making small changes to everyday spending decisions. Living sustainably – opting for energy efficient whitegoods, reusing and recycling products, and switching to a vegetarian diet – can save you money in the long run. But there are smart ways you can spend money to help the environment. Here are five purchases totalling $100 you can make this week. It’s the hole in the science that global warming sceptics have long exploited – the apparent lack of “hot spots” high in the atmosphere over the tropics that should be there if climate models were accurate. After years of debate, University of NSW climate researchers Steven Sherwood and Nidhi Nishant have resolved data issues that not only reveal those “hot spots” to be there – but they are in fact warming some 10 per cent faster than modelling has predicted. “[We found] the global warming signal is stronger than we thought it would be,” Professor Sherwood said. How will climate change affect where I live? That’s the subject of intense research around the world, as scientists try to predict how increasing levels of greenhouse gases – and the additional heat they trap from the sun – will alter the climate of different regions. For most regions of Australia, the climate will become warmer and drier, according to research by the Bureau of Meteorology and the CSIRO. For most centres, that’s akin to shifting northwards, or in Canberra’s case, to a lower altitude. Alice Springs: Mean temperature forecast to rise by 4.7 degrees by 2090. 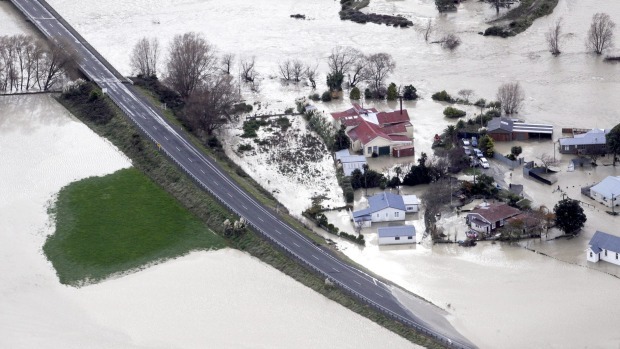 NEW ZEALAND – An adverse weather event is likely to be declared by the Government on Tuesday, triggering funding for rural support, as Whanganui, Taranaki and Manawatu communities pick up the pieces after devastating floods. States of emergency remained in Whanganui and Taranaki on Monday night as civil defence teams assessed the safety of evacuated buildings and how many people were still stuck. The state of emergency for Rangitikei was lifted in the morning. Prime Minister John Key said it was “highly likely” Primary Industries Ministry Nathan Guy would declare an adverse weather event when he visited Rangitikei on Tuesday. Houses in Whangaehu after the Whangaehu River breached its banks in weekend flooding. Floods in the lower North Island could not have come at a worse time for dairy farmers already under pressure because of falling milk prices. Hill country sheep and beef farmers will also face difficulties because of landslips, impassable roads and damaged fences and other infrastructure. No cow losses have yet been reported, said James Muwunganirwa, DairyNZ lower North Island regional leader. A heatwave strikes the city. Temperatures rise well over 40 degrees for several consecutive days. Train tracks buckle. Trees wilt. Lives are at risk. Sure, summers in the city are typically hot. But this seems a little more intense than most, and something similar happened just last year. Is this climate change? That’s the question increasingly being asked by communities around the world as droughts, heatwaves and floods bring devastation to their door. Governments considering introducing renewable energy auction schemes in a bid to drive down the cost of clean energy subsidies are being offered support through a new guide, published today by the International Renewable Energy Agency (IRENA). Renewable energy auctions have been widely hailed as one of the most successful policy developments in the clean energy sector in recent years, with proponents crediting them with helping to drive down the cost of renewable energy. The policy schemes work by asking renewable energy developers to bid for contracts, with the lowest bids commonly securing government support. Consequently, developers are forced to compete for support, ensuring only the most cost-effective projects proceed. AUSTRALIA – The river red gums that flowered over the Macquarie Marshes, in the state’s north-west, are now bare and ghostly white. “It’s a dead forest,” says Katharine Catelotti, from the UNSW Centre for Ecosystem Science. Nothing here is as it should be. The network of channels and lagoons in the Murray-Darling Basin is being snaffled by inland scrub. Here, at Australia’s most important site for mass breeding of waterbirds, I hear the cry of woodland currawongs and ravens. “The wetland is shrinking,” says Catelotti, looking at broken branches in the dry earth. AUSTRLAIA – A major review of the risks of climate change in the Murray Darling Basin is likely within the next seven years. The proposed timeline has been revealed to RN Breakfast after a dispute between the Murray Darling Basin Authority and some of Australia’s leading water scientists over the predicted drying of the basin in the coming decades. The scientists say that the $11 billion Murray Darling Basin Plan doesn’t currently take into account the lower average rainfall patterns and more frequent and severe droughts predicted by climate models. AUSTRALIA – Safari hunting of large problem saltwater crocodiles could be taking place in the Northern Territory within a year, according to Indigenous Affairs Minister Nick Scullion. Senator Scullion said he believed hunters would pay $20,000 to $30,000 to bag a four- to five-metre long crocodile, bringing much-needed money into impoverished remote Aboriginal communities. Despite the widespread decline of elephants across Africa in recent years, one nation has reported a rising population. Elephants in Uganda have increased by 600 percent, to more than 5,000 individuals, from a low of 700 to 800 in the 1980s, reports a survey in May by the Wildlife Conservation Society, the Great Elephant Census, and the Uganda Wildlife Authority. Elephants were once plentiful across the East African country, but rampant poaching fueled their decline. The Wildlife Conservation Society cited better protection across Uganda’s ten national parks as a major factor in their recovery. How do we overcome the barriers to being a sustainable business? The challenges a shipping company faces in becoming more sustainable are invariably different to those of a chocolate co-operative. Sustainable businesses the world over may all be generally clear on their shared goal – one that equally privileges people, planet and profit – but individual journeys couldn’t be more dissimilar. We invite the winners of the GSB awards 2015 to discuss what businesses of today and tomorrow must overcome to be sustainable, and the hurdles they have encountered on their journey. Today, customers around the world care about more than the functionality of a product alone. They want to engage with its story. If they’re purchasing a piece of technology, they want to know how it was made and where materials are sourced. When purchasing an item of clothing, they want to know that it was produced safely and under good conditions. And if they’re purchasing an automobile, they want to be assured that the manufacturing process was environmentally responsible. So, what does this mean for businesses? After the Pope’s plea, what do other faiths think on climate? For Christianity, Islam and Judaism, it is care for divine creation. In Hinduism, there is Rta – the principle of natural order. Every religion has its traditions of protecting the environment. The degree to which they are observed varies, as faith rubs up against economic and political realities. his week’s encyclical, or letter from Pope Francis to his flock, has been widely hailed for its urgent call to action on climate change. And it is not exclusive to Catholics but addressed to “all people living on this planet”. So how is it going down with Muslims, Jews, Hindus and other segments of Christianity? With the fate and the format of Australia’s renewable energy target still uncertain as negotiations continue with back-benchers, one thing is apparently clear – Tony Abbott’s Coalition government wants to make it a predominantly solar target. In seeking to justify the push against wind energy, the creation of a “wind commissioner” and its dealing with the Senate cross-bench, the Coalition is trying to turn the renewable energy target into a sort of de facto large-scale solar scheme. The ACT has signed up to two international agreements on climate change ahead of the Paris Climate Change Conference later this year. It means the ACT is now a signatory to the Compact of States and Regions, and the Compact of Mayors. The Territory will also report annually to an international audience through the Carbon Disclosure Project. ACT Environment Minister Simon Corbell said local governments had a critical role to play in tackling climate change. 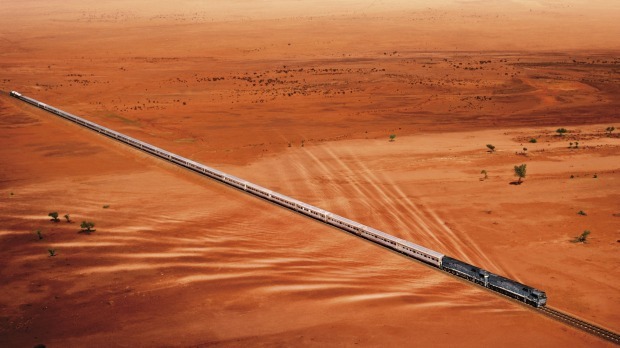 AUSTRALIA – Chris Rapley is Professor of climate science at University College London. He was formerly the director of the British Antarctic Survey and the director of the Science Museum in London. He’s just published a short book “2071: The World We’ll Leave Our Grandchildren”. I asked him about the Prime Minister Tony Abbott’s statement that “coal is good for humanity”. Video (02:17 mins) – Leonardo Di Caprio and Mark Ruffalo Launch a clean energy complain called 100% in New York. Why should you care about the Sustainable Development Goals? Delegates meet in New York this week to hammer out revamped anti-poverty goals, that campaigners say could rival in significance 1948′s watershed UN Declaration of Human Rights. The 17 Sustainable Development Goals will be signed off in September and take effect January, after a crunch meet in Ethiopia in July to secure donor funding. They are a universal set of voluntary targets and indicators that over 190 UN member states will be expected to use to shape their agendas and policies over the next 15 years. Everything seems familiar. Piquet, Prost and Senna are all just millimetres off the ground in state-of-the-art racing cars, their breakneck speed round the track being watched by millions. But something is missing: the roar of engines. This is Formula E, the nascent form of motor racing coming to Battersea Park in London next weekend for the conclusion of its inaugural championship… But organisers say the true measure of its success lies beyond the circuit. A network of electrical charging stations dotted throughout Western Australia’s South-West now forms the country’s first extended road route for electric vehicles (EVs). From Perth to the beachside tourist town of Augusta, 310 kilometres from the capital, 12 publicly accessible charging stations will take just 30 minutes to fully charge a vehicle. There are fewer than 150 EV owners in Western Australia but it was hoped access to the chargers would encourage more people to buy the cars, which start at $49,000. Tesla may have ambitious plans for battery technology for the home but it is also looking to upgrade its electric vehicle batteries, which will allow them to travel twice the distance they currently do. So what will be the implications for Australia? One of the reasons for the slow take-up in Australia has been identified as a lack of infrastructure to keep electric vehicles powered, especially on the longer journeys that are typical here. Three main issues need to addressed if we are to see more electric vehicles on our roads. The South Australian state budget released last week brought plenty of good news for the property sector, especially sustainable property – with boosts to public transport, cycling infrastructure and public housing, as well as a firm commitment to continued investment in Renewables SA that includes investigating access to public land for this purpose. AUSTRALIA – Victoria’s state government has announced it will introduce legislation that will extend Environmental Upgrade Agreements to every Victorian councils. The agreements, which finance upgrades through a council rates-based financing mechanism, are currently only available within the City of Melbourne and the industry has pushed long and hard to have these mechanisms extended. Independent scientists have identified a new parasite in bees on the Coromandel peninsula, one of several regions around New Zealand that have reported the loss of thousands of colonies of honey bees since last spring and a substantial drop in honey harvests since. Lotmaria passim, a parasite that attacks the gut of honey bees, was only discovered by a team of American researchers about six months ago. Its confirmed presence in Coromandel hives has rung alarm bells for beekeepers who fear another major biosecurity challenge for their industry, hard on the heels of the varroa mite which arrived in the North Island in 2000. A tiny volcanic rock in the middle of the Pacific Ocean may just have the answer to the global bee die-off. Niue, which has a population of nearly 1200 and is slightly smaller than Great Barrier Island, is planning to become a global bee sanctuary, exporting the only varroa- and mite-free Italian bee stock left in the world, in an effort to save the future of food production. It is “inevitable” that the varroa mite will make its way to Australia. That is the view of Sydney University’s Dr Nadine Chapman, who is looking to introduce varroa-resistant bees, located in parts of the United States of America, to Australia. The mites attach themselves to bees, sucking their blood, causing diseases and viruses deadly to the insect. So far there have been only some isolated cases of varroa mites finding their way to Australian shores through infestations on shipping containers. Authorities managed to destroy those before they took hold. Dr Chapman has been in the US looking at the various ways different species of bees tackle the mite feared by every Australian apiarist. The EU’s recent high profile fishing policy reforms took a major step forward this week as the Spanish government announced potential penalties of up to €11m (£7.8m) for those engaged in illegal, unreported and unregulated (IUU) fishing. The fines, which were issued late last week against companies and individuals for 19 serious incidents, are the highest to be imposed by an EU government and have been described as “historic” by a coalition of three international NGOs, including the Environmental Justice Foundation, Oceana, and WWF. AUSTRALIA – A dolphin has been died after being caught in the net of a factory fishing trawler, the ninth mammal killed by the vessel since it began its mission in mid-April. Factory fishing trawlers have been banned from working in an expanse of ocean off the New South Wales-Victoria coast as a result. The Australian Fisheries Management authority (Afma) has closed “zone six” of a small fishery following notification of the dolphin’s death by the 95-metre vessel Geelong Star. “The closure direction will be in force until midnight on December 16,” Afma said in a statement posted on its website. Britain’s farming leaders are urging the government to clamp down on the illegal use of powerful antibiotics following a Guardian investigation that found evidence that the MRSA superbug – linked to the overuse of such medicines in livestock – had entered the UK’s food chain.